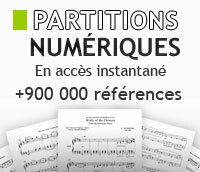 Des sourdines pour cor sur free-scores.com ! By Kopprasch, C. Horn solo. Published by International Music Co.
French Horn and Piano. By Georg Philipp Telemann. Arranged by Barry Tuckwell. This edition: piano reduction. Brass Solo. Size 9x12 inches. 12 pages. Published by Schirmer. Composed by Robert Schumann (1810-1856). Set of performance parts and accompaniment CD for horn (or violin, viola, cello) and piano. Op.70. 27 pages. Published by C.F. Peters. By Gallay, Jacques-Francois (1795-1864). Horn solo. Published by International Music Co.
French Horn and Piano. By R Schumann. Arranged by Barry Tuckwell. Brass Solo. Size 9x12 inches. 16 pages. Published by Schirmer. Composed by William R. Brophy. Instructional book for horn in F (French Horn). Published by Carl Fischer. By Richard Strauss. For Horn and keyboard. Published by Boosey and Hawkes. By Roger Kellaway. For horn, tuba and piano. Contemporary. Level: 4-5. Composed 1979. Published by Editions BIM (Swiss import). This edition: CMP122707. Curnow Play-Along Book. Published by Hal Leonard. By James Beckel. Brass Solo. Size 9x12 inches. 52 pages. Published by Hal Leonard.